In the market for an insanely easy and efficient way to cool your Xeon 5500 system? Inspired by their signature NH-U12 series, the Noctua NH-U12DX 1366 CPU Cooler is made to offer a high-end method for providing exceptionally quiet cooling performance for Intel's LGA1366 Xeon 5500 CPUs. 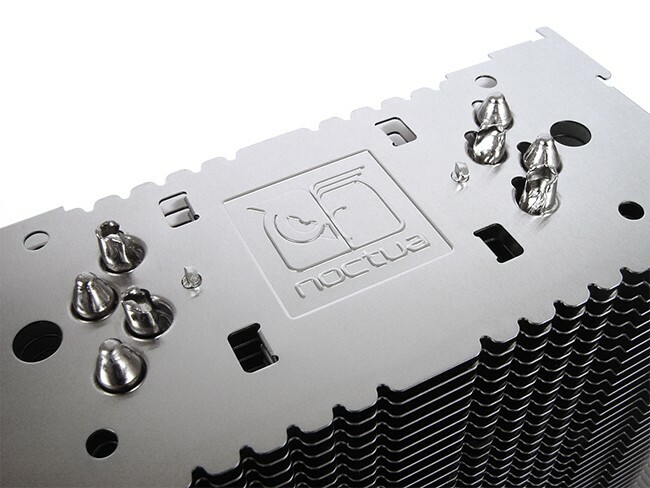 Designed with the SecuFirm2™ mounting system for socket LGA1366, the Noctua NH-U12DX 1366 CPU Cooler is an incredibly convenient cooling system, and allows the NH-U9DX 1366 to be a simple drop-in replacement for standard Intel coolers. The NH-U12DX Cooler is fitted with Noctua's award-winning NF-P12 fan, and comes packaged with their high-grade NT-H1 thermal compound. Note: The NH-U12DX 1366 can only be used on mainboards that included backplate with screw threads for installation of the CPU Cooler.